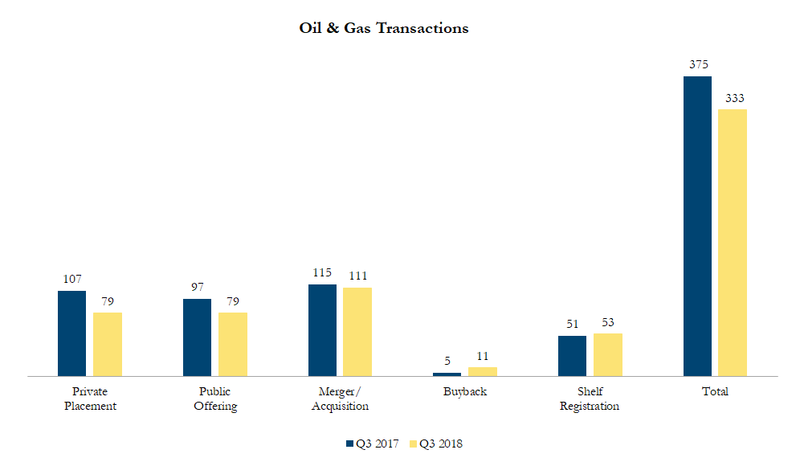 Q3 2018 Oil & Gas Transactions – Sinclair Range Inc.
On July 26, 2018, Australian-based BHP Billiton announced that it is selling its U.S. shale assets in two deals. BP American Production CO, a subsidiary of BP PLC, is acquiring Petrohawk Energy Corp., the BHP subsidiary that includes the Eagle Ford, Haynesville, Black Hawk, Hawkville and Permian Delaware assets for US$10.5 billion. This is BP’s largest purchase in over two decades. Petrohawk’s assets cover 526,000 net acres that produced 58.8 million barrels of oil equivalent in fiscal 2018. BP will pay half the purchase price in cash upon closing and the remainder in six equal monthly installments. Industry analysts have allocated the purchase price by asset, with per acre price ranging from $50,551/acre at Permian Delaware and $2,500/acre for Hawkville. On August 15, 2018 Diamondback Energy, a U.S. oil and gas producer, agreed to buy shale rival Energen for US$9.2 billion. The transaction expands Diamondback’s footprint in the Permian basin, U.S.’s largest and fastest growing oil field and values Energen’s properties at approximately US$65,000 per acre, among the highest prices in the Permian basin in the last several years. Concho Resources paid US$70,000 per acre for RSP Permian in an US$8 billion transaction earlier this year.